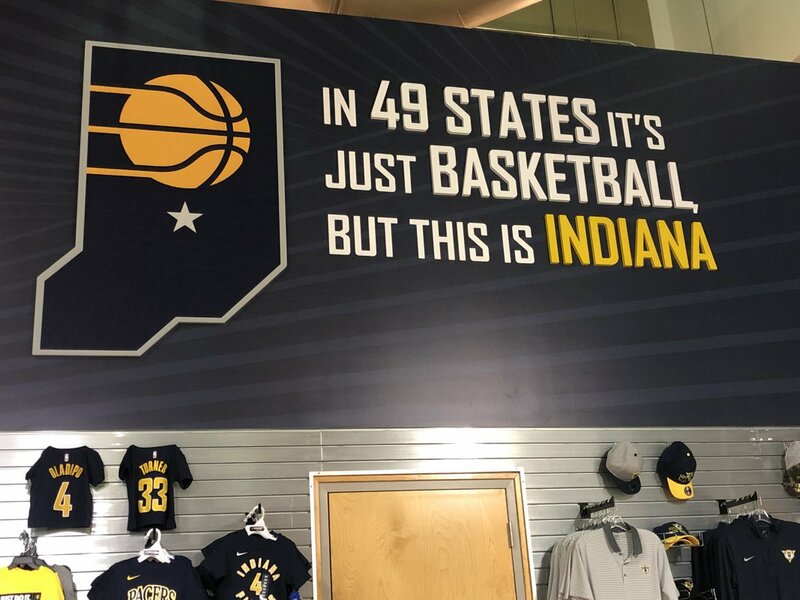 As anyone who has seen the movie “Hoosiers” certainly knows, Indiana’s first love when it comes to sports is basketball. 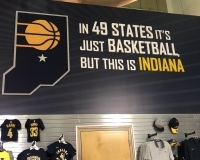 And Indiana’s first major professional sports franchise, naturally, was a hoops team. 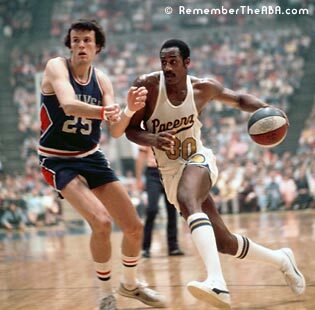 The Pacers began existence as a member of the old American Basketball Association (that 1970s outlaw league with the red, white and blue ball), then was folded into the NBA when the ABA folded. 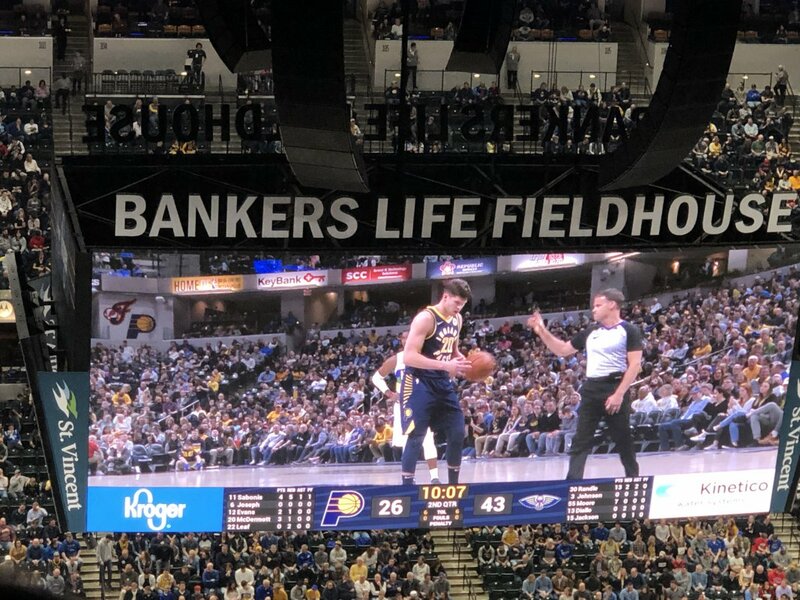 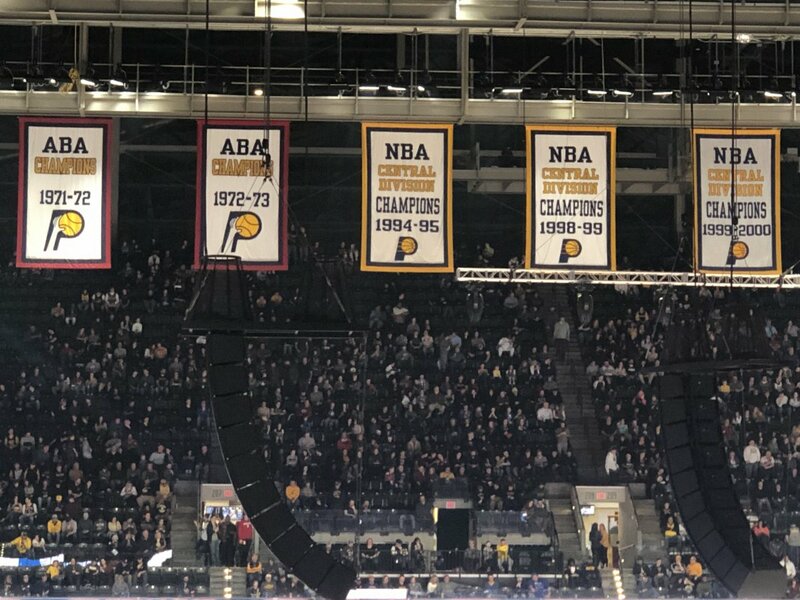 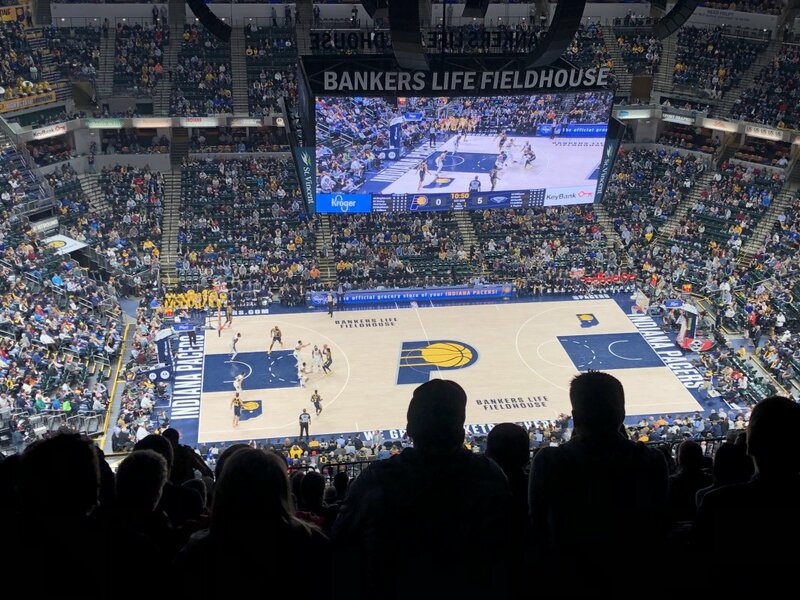 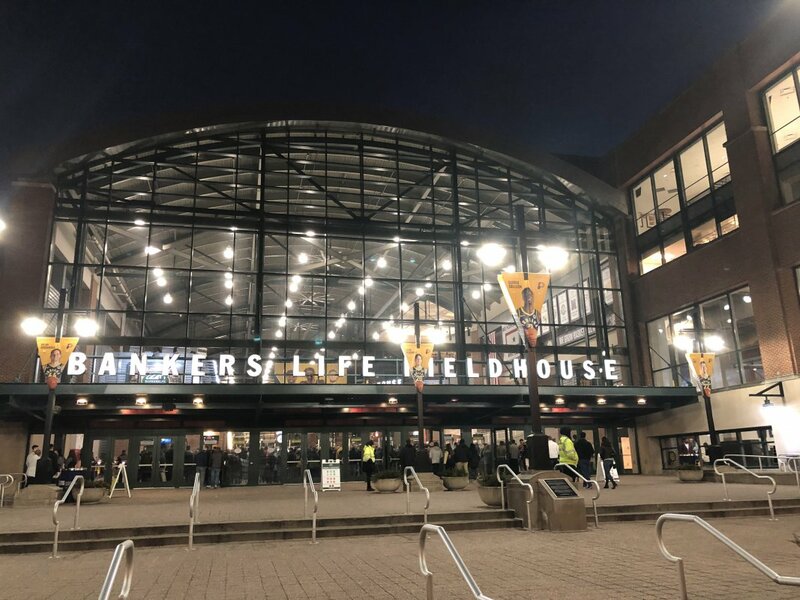 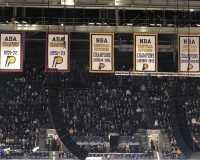 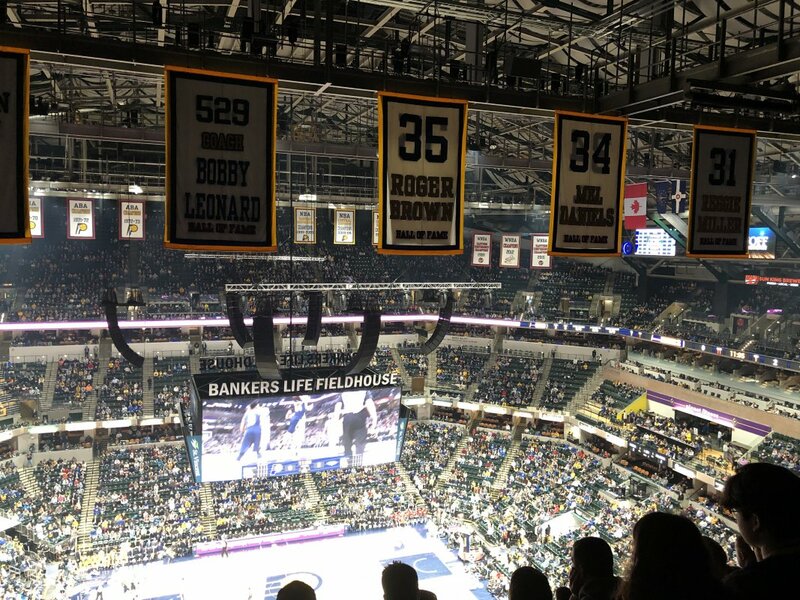 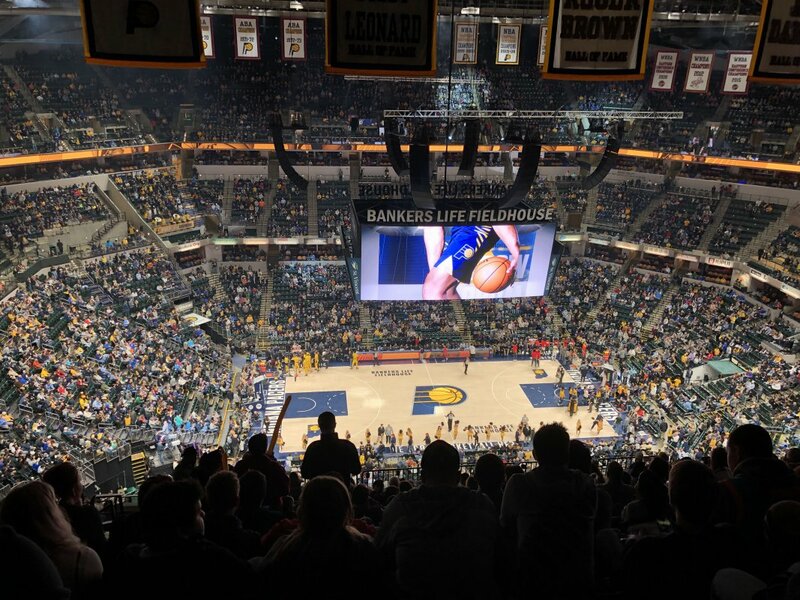 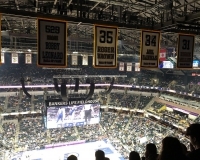 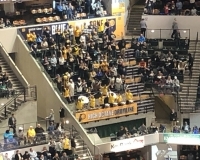 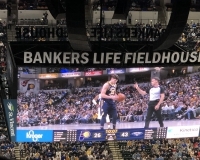 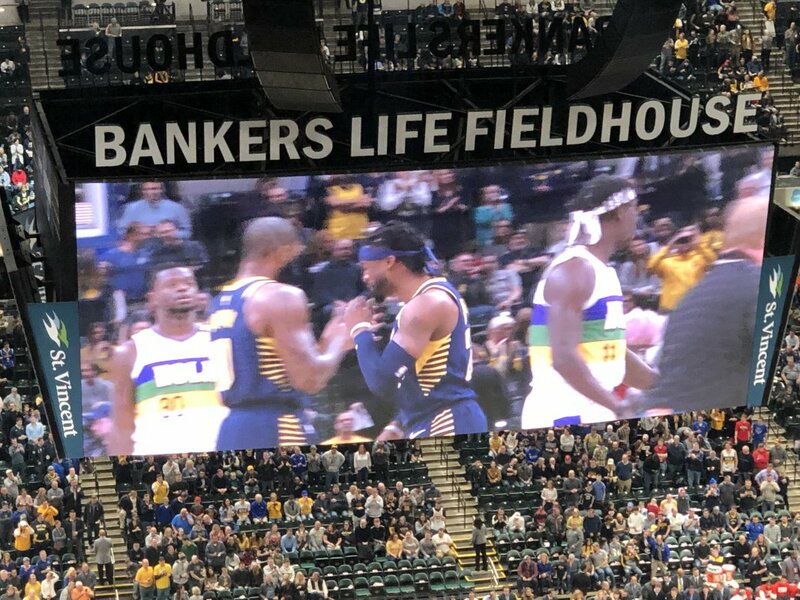 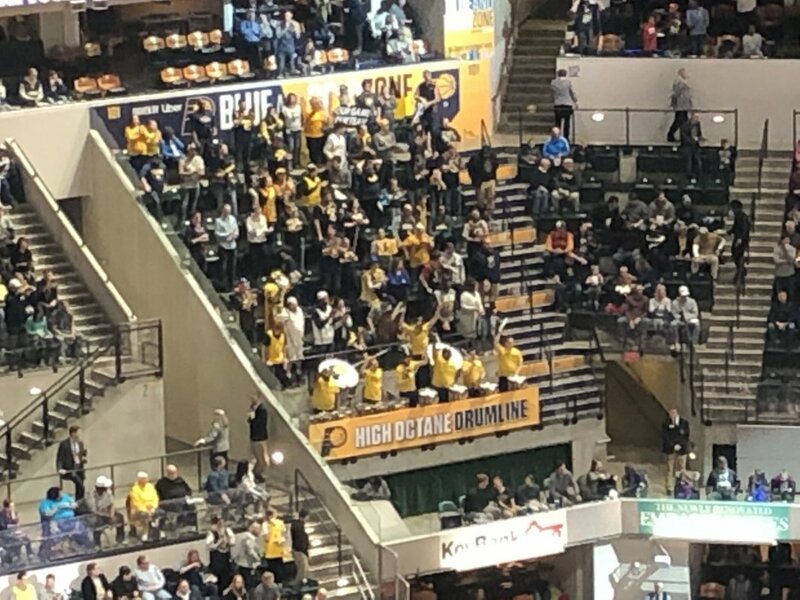 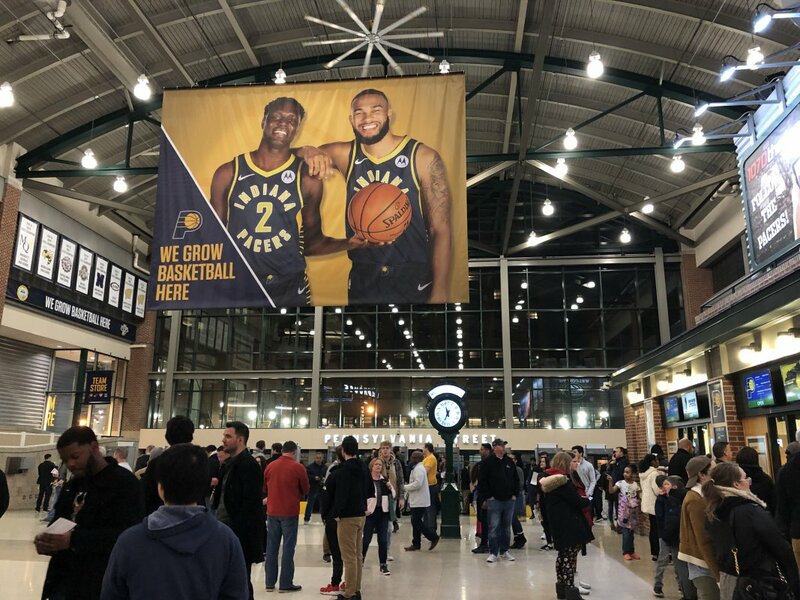 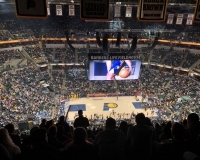 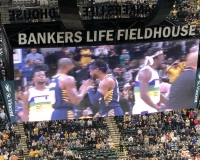 They’ve been a resident of downtown Indianapolis since the late 1970s, plying their trade at Market Square Arena before moving into their current building, now known as Bankers Life Fieldhouse, in 1999. 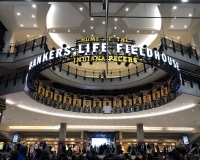 Nowadays, Bankers Life Fieldhouse is seen as one of the gold standards for NBA venues. 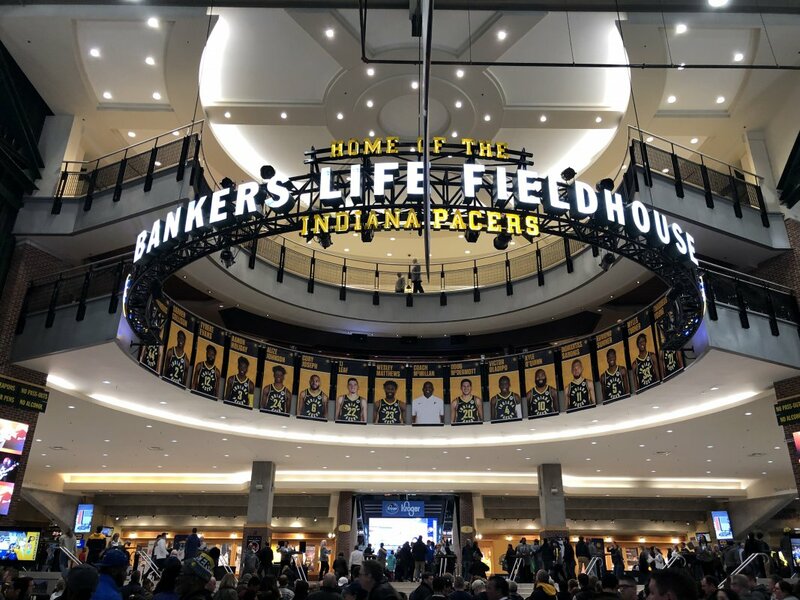 It’s worth a trip to Indy to see why, as well as to see what the rest of the city has to offer. 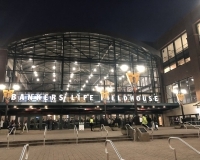 Located downtown, Bankers Life Fieldhouse isn’t difficult to get to from most parts of the Indianapolis area. 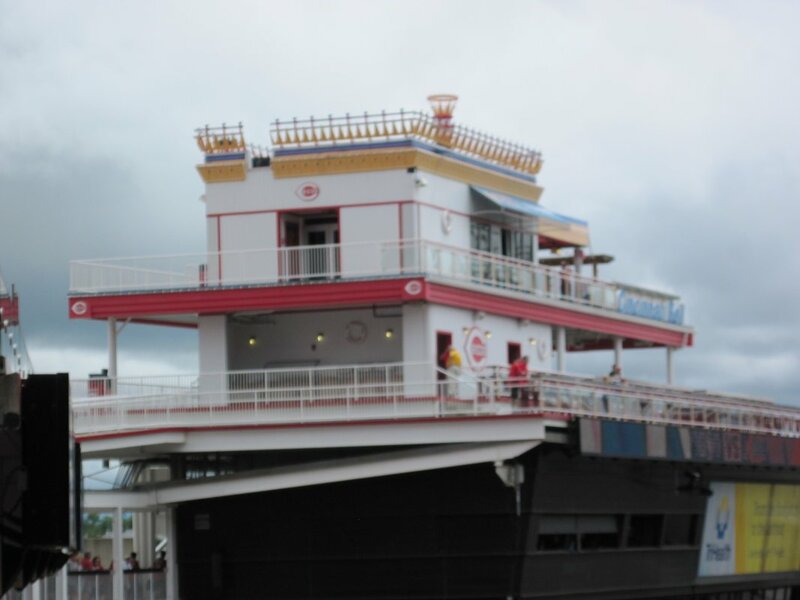 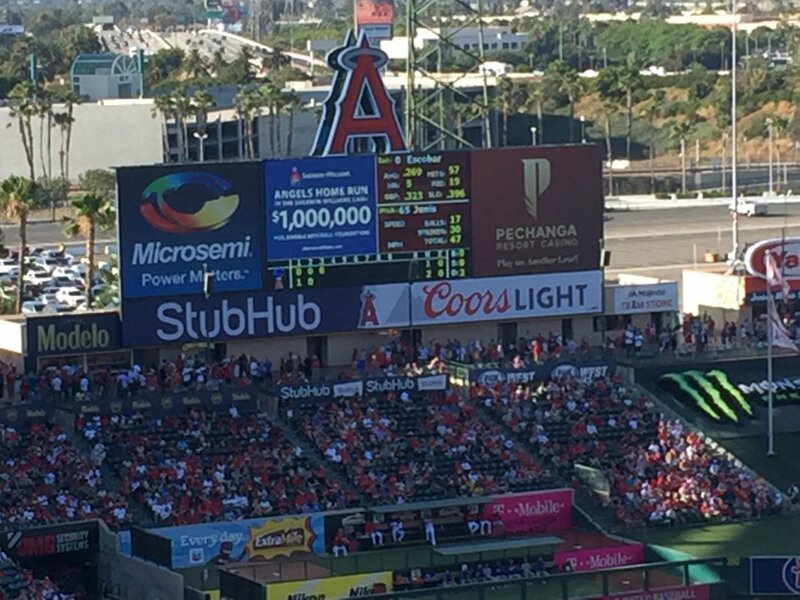 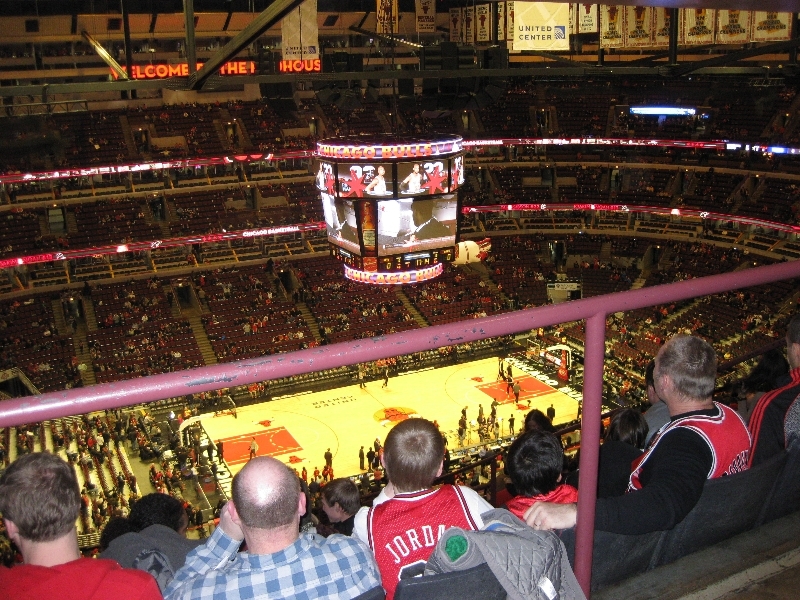 It’s within walking distance of many of the downtown attractions as well as its major hotels. 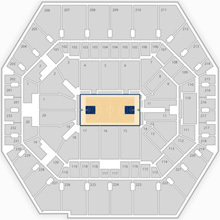 Click here for driving directions to the arena. 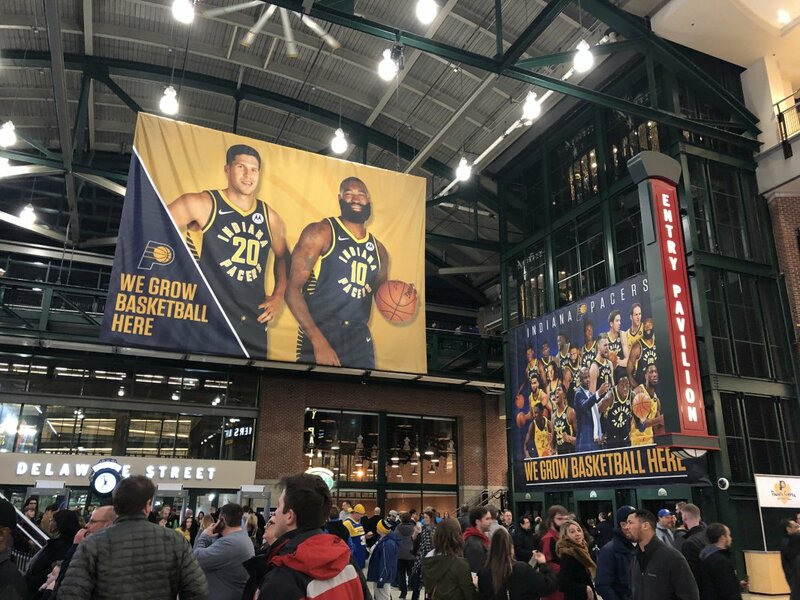 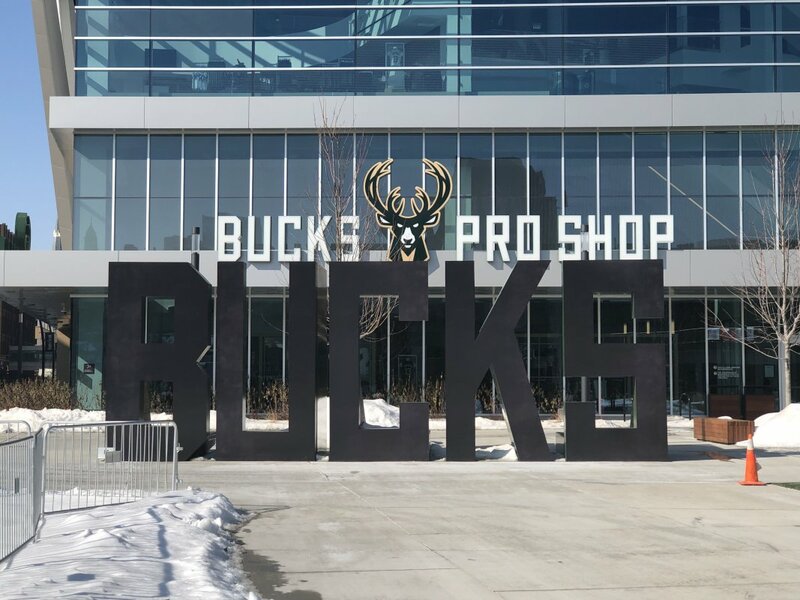 It does get cold in Indy during NBA season, and unfortunately, the arena isn’t connected to the city’s skywalk system that keeps pedestrians sheltered. 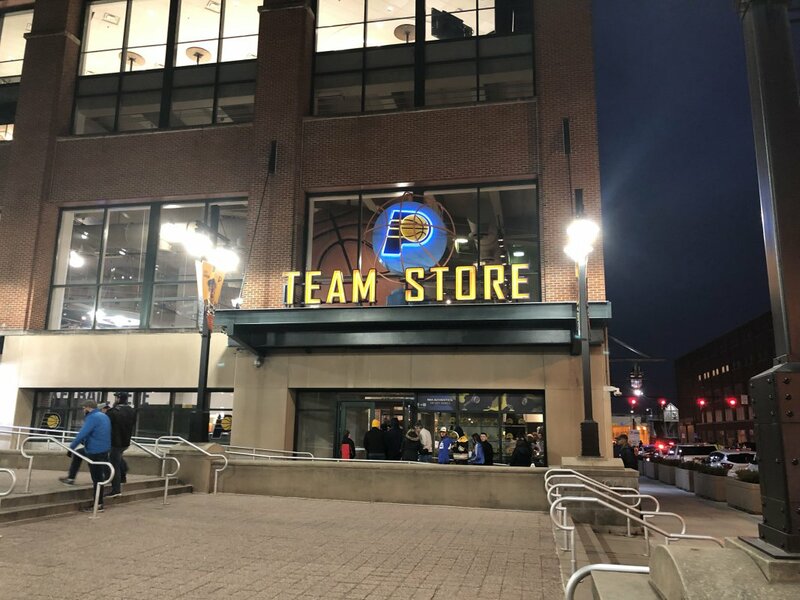 You can get to within a few blocks, however, and after that it’s a not-so-terrible walk down Georgia Street, a lively street that typically gets even more lively when there’s a game going on (more on that below). 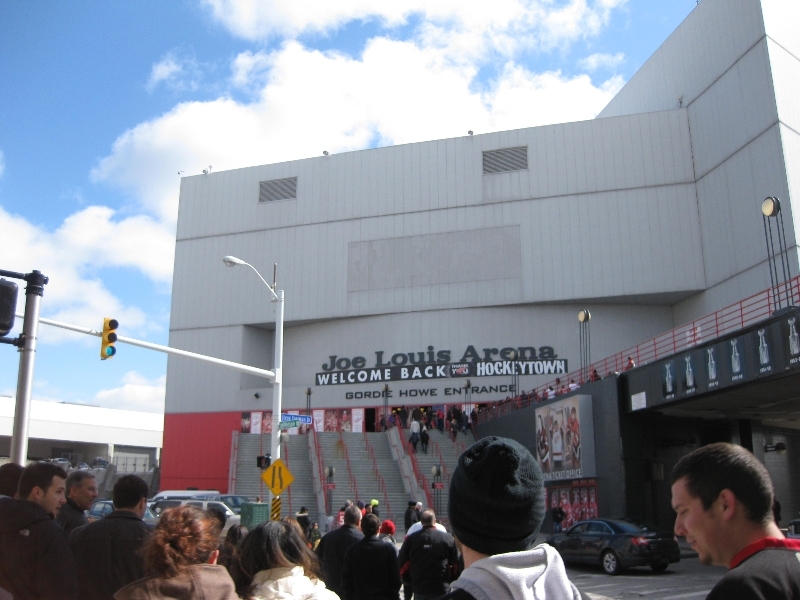 Parking is plentiful around the venue, including at the Virginia Avenue Garage just to the northwest, which connects to the arena via a pedestrian bridge. 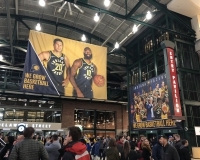 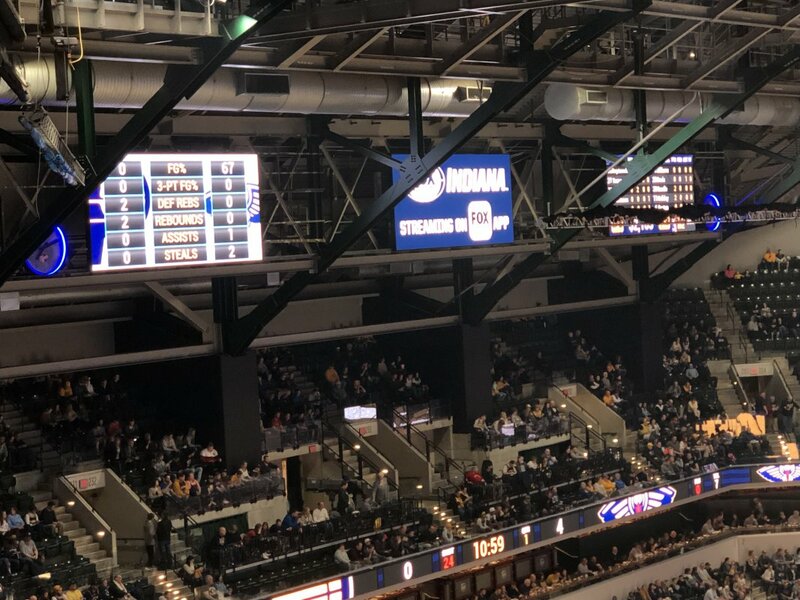 Bankers Life Fieldhouse is part of a busy district of downtown Indianapolis (known locally as the Wholesale District) that includes Lucas Oil Stadium, home of the Colts, as well as many establishments and attractions that cater to the sports fan. 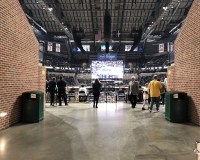 For pregame eating and/or drinking, your best bet is Georgia Street, which extends west from the arena and includes a number of establishments, both chain and independent. 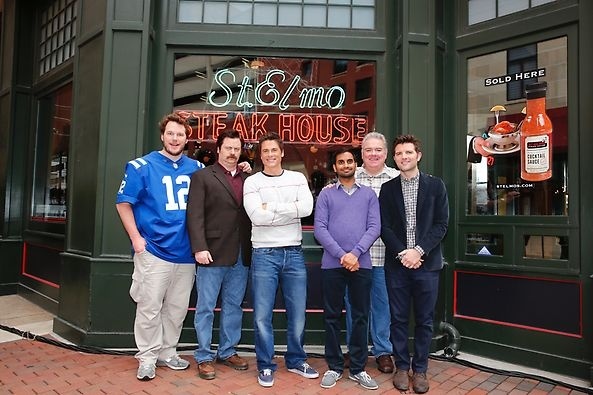 If you’re looking for a specifically Indy experience, check out St. Elmo’s Steak House on Illinois Street — one of the most well-known restaurants in the city. 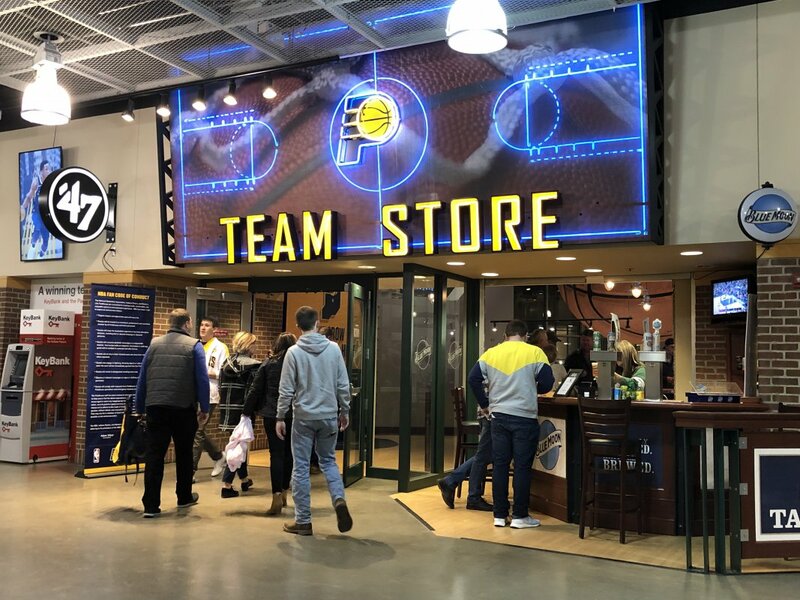 You can also sample an Indiana favorite, the pork tenderloin sandwich, at one of two downtown spots — Loughmiller’s Pub and Coaches Tavern. 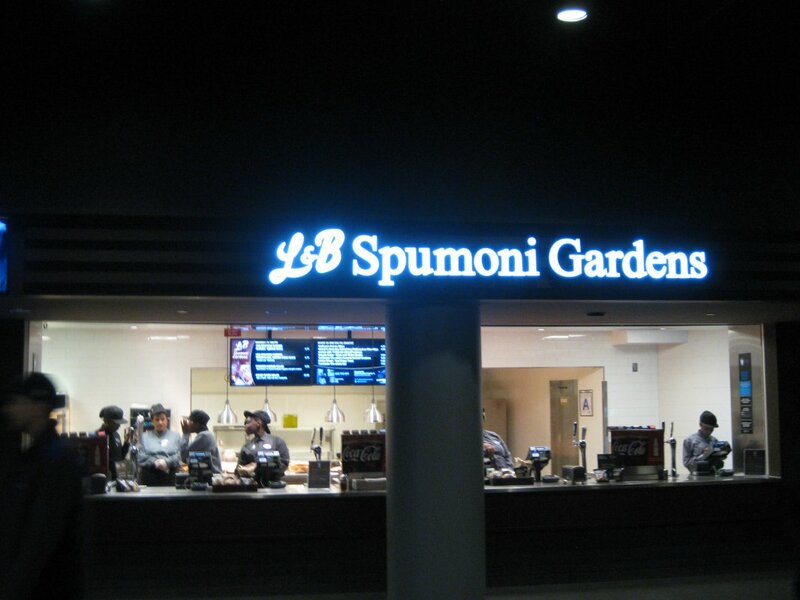 For more info on nearby restaurants, click here. 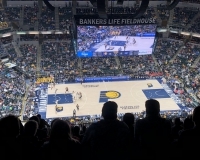 Designed primarily for basketball (meaning, it doesn’t have the larger event space that combo basketball-hockey arenas have), and named “Fieldhouse” in deference to the hoops gyms around Indiana, many of which have been given the same label, Bankers Life Fieldhouse provides an ideal setting for basketball-watching. 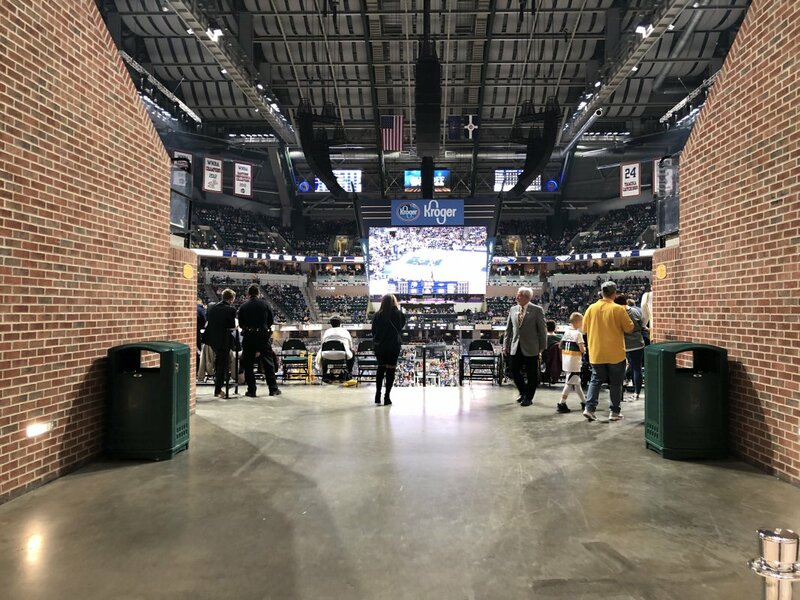 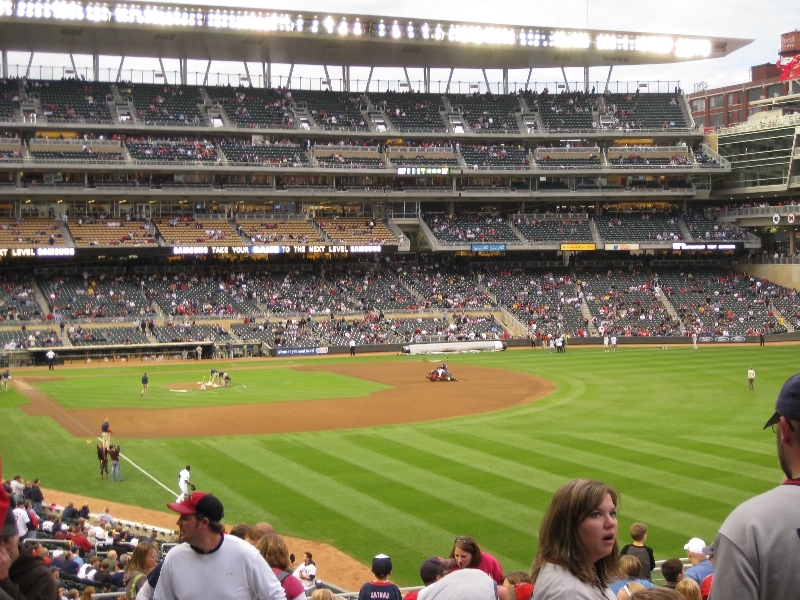 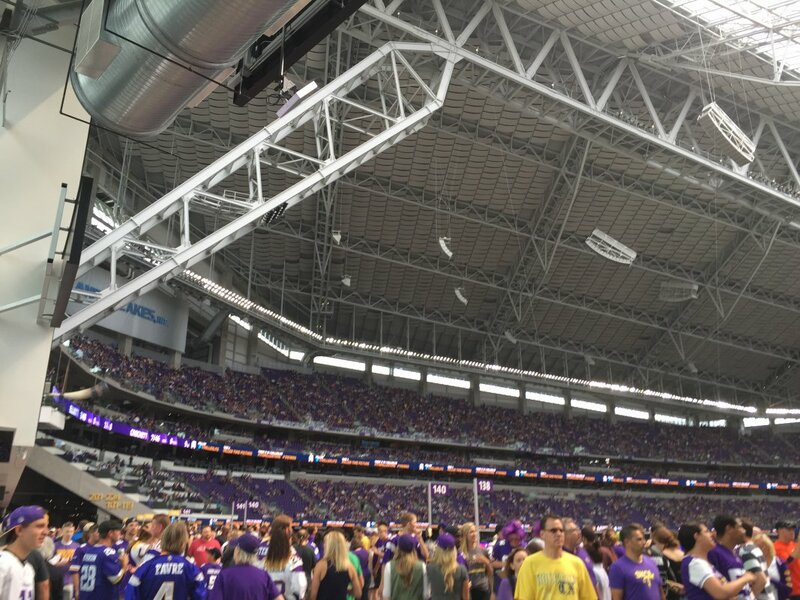 Even the farthest seats from the court don’t feel irritatingly far, though it’s easy to get the impression that the arena has a cavernous feel — three levels of seating and an arched roof contribute to that perception, almost as if you’re watching the game in a domed stadium. 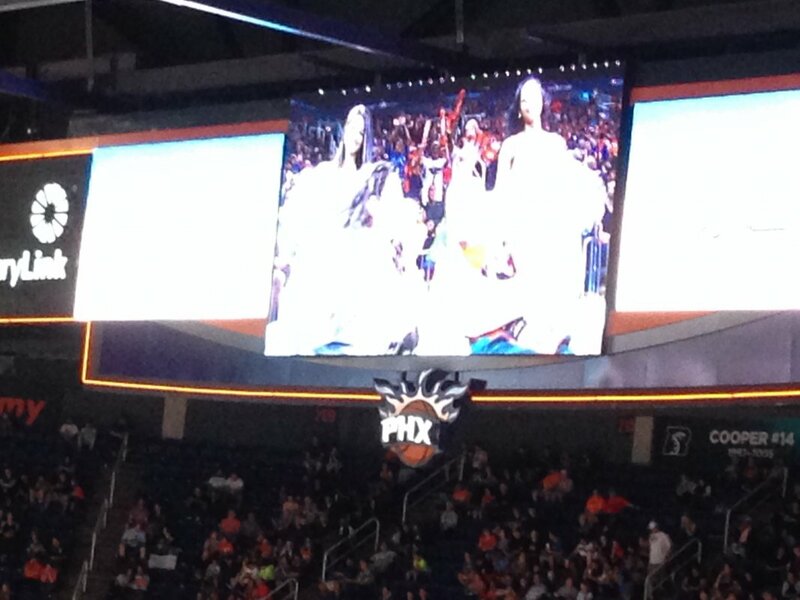 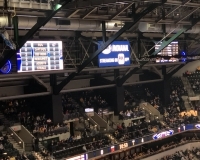 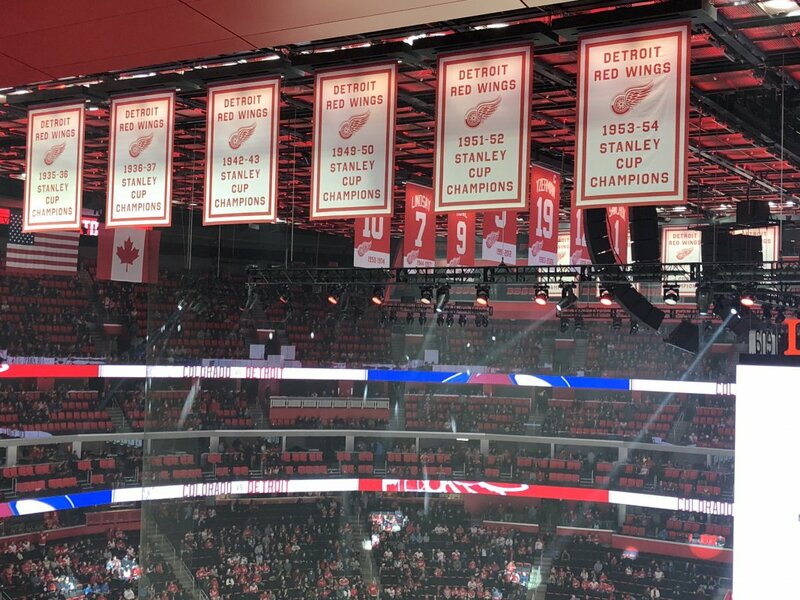 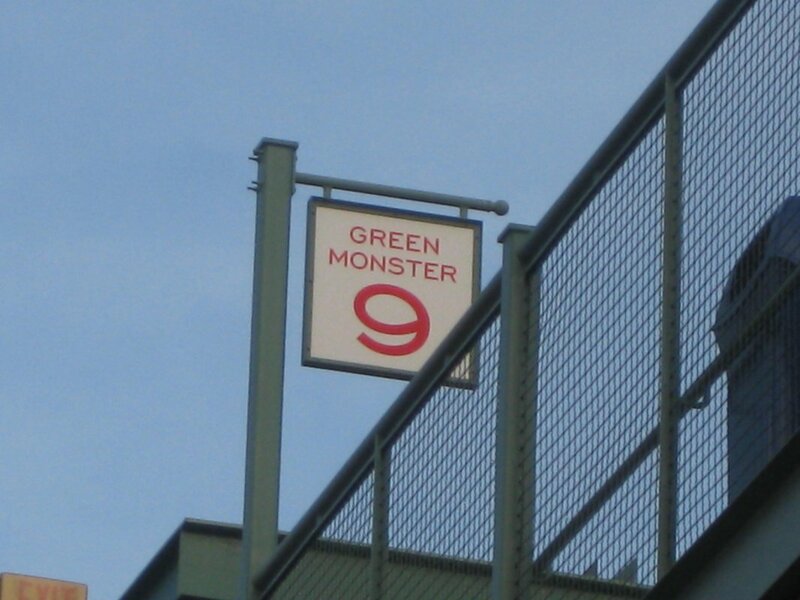 Those who do feel far-removed from the action have the benefit of the 50-foot-long, center-hung videoboard, installed before the 2012-13 season, to keep track of things. 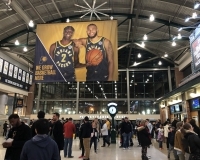 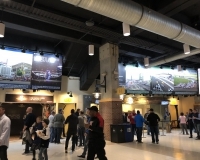 If you enter on the northwest side of the arena (at the corner of Pennsylvania and Chesapeake streets) you’ll be greeted by a large, glass-lined atrium and a lobby that partly resembles the lobby of a movie theater, with large banners depicting every current Pacers player, and evokes the feel of an old-timey train depot with brick-walled ticket windows and a large analog clock. 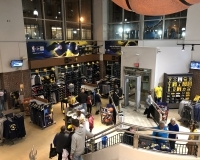 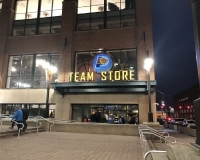 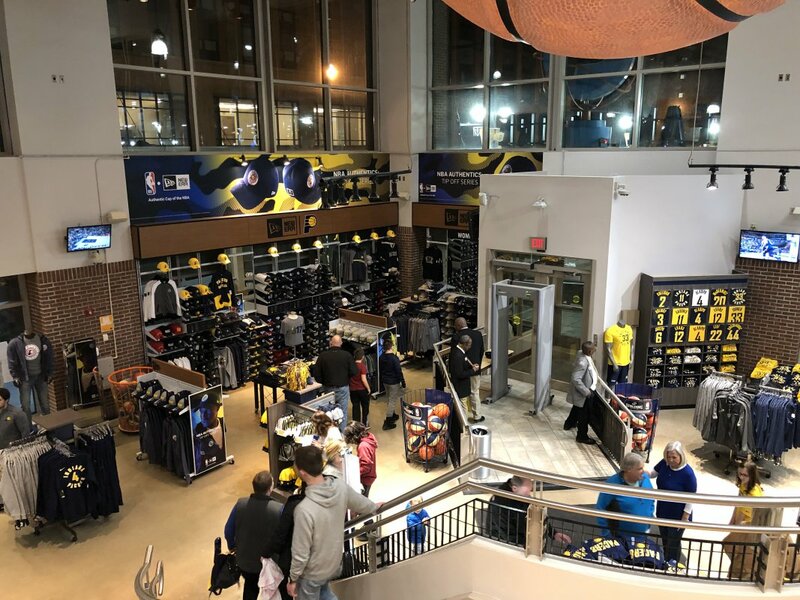 The large, two-story Pacers team store is also in this area. 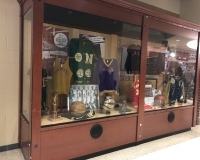 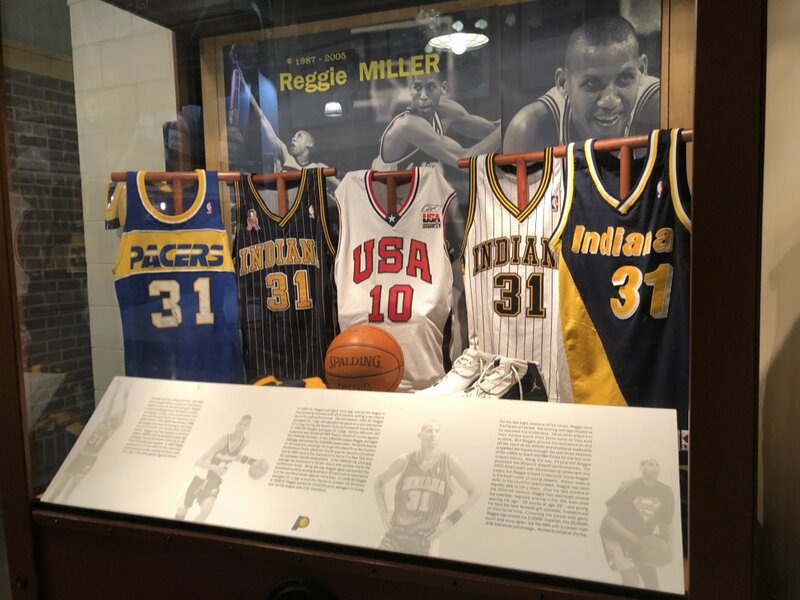 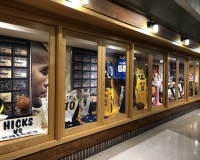 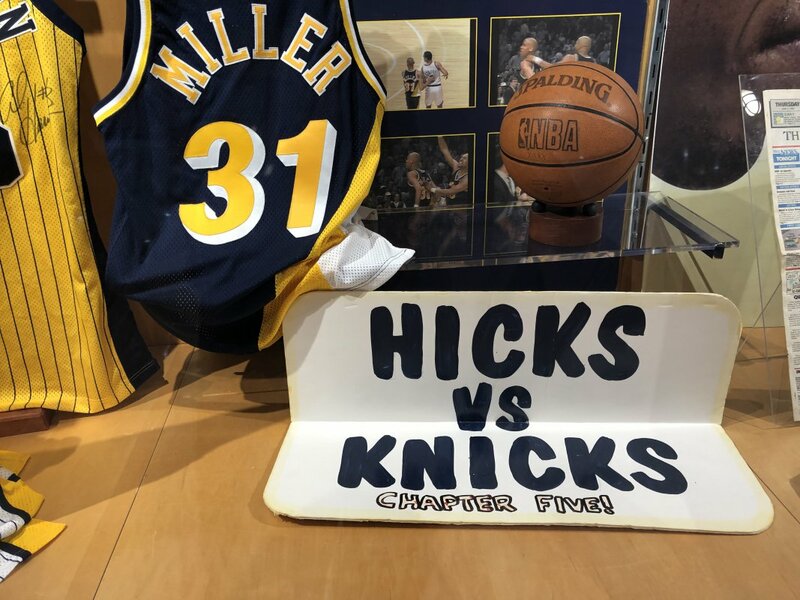 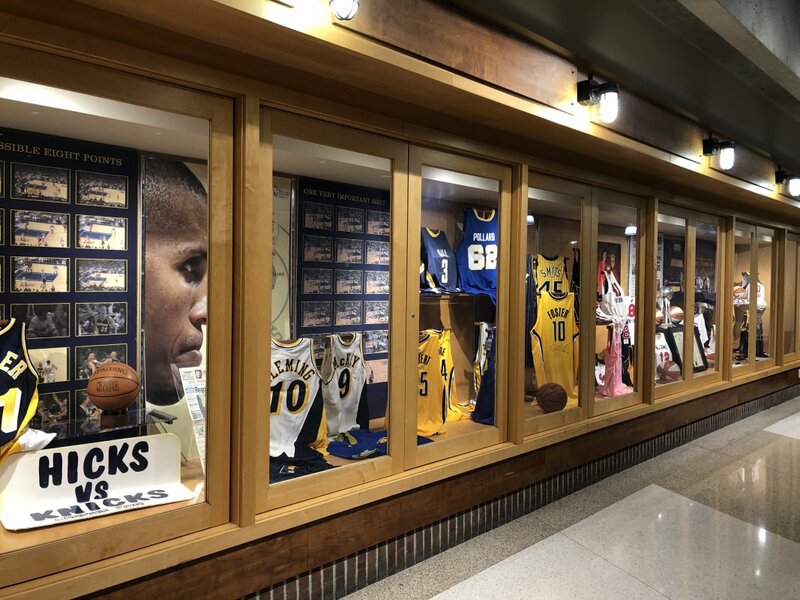 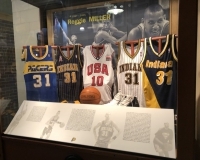 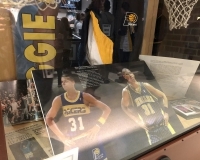 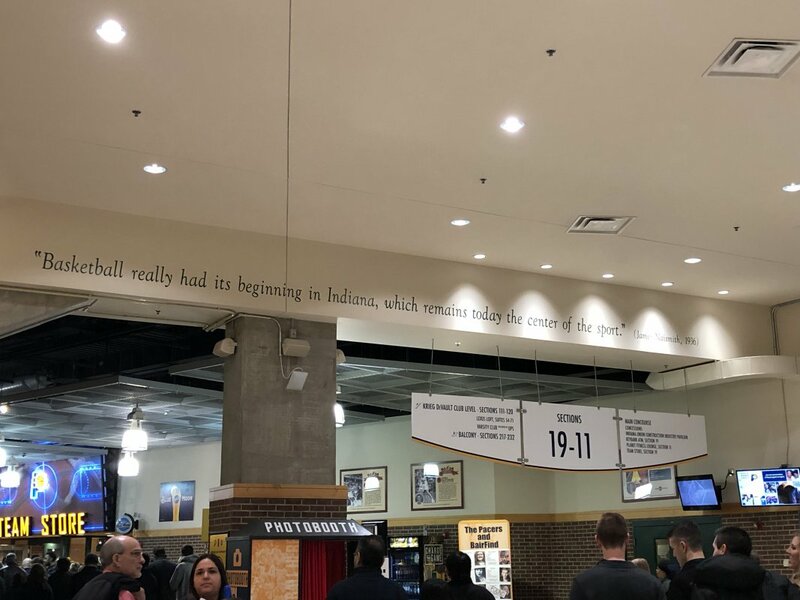 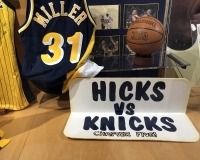 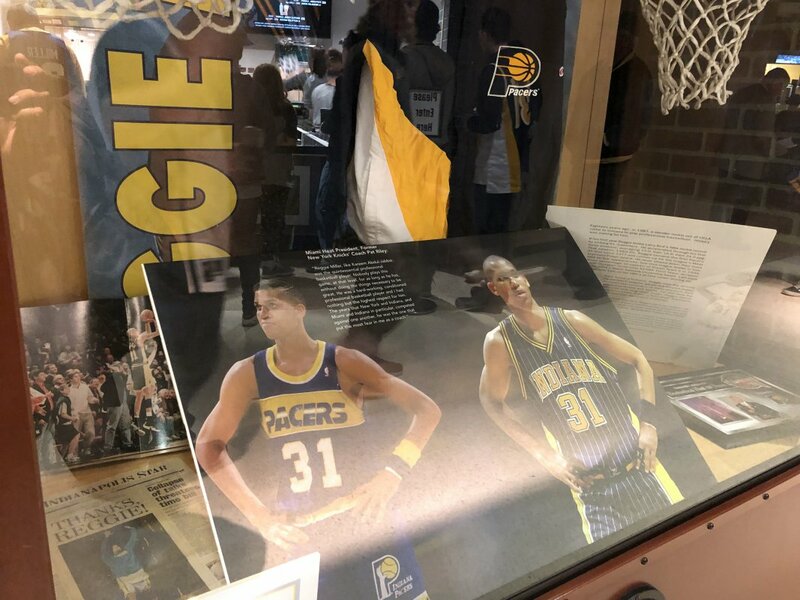 Walk around the concourse a little bit and you’ll find little displays dedicated to Pacers history, such as ones dedicated to team legends like Reggie Miller and a timeline of team jerseys over its history. 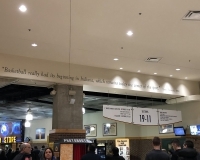 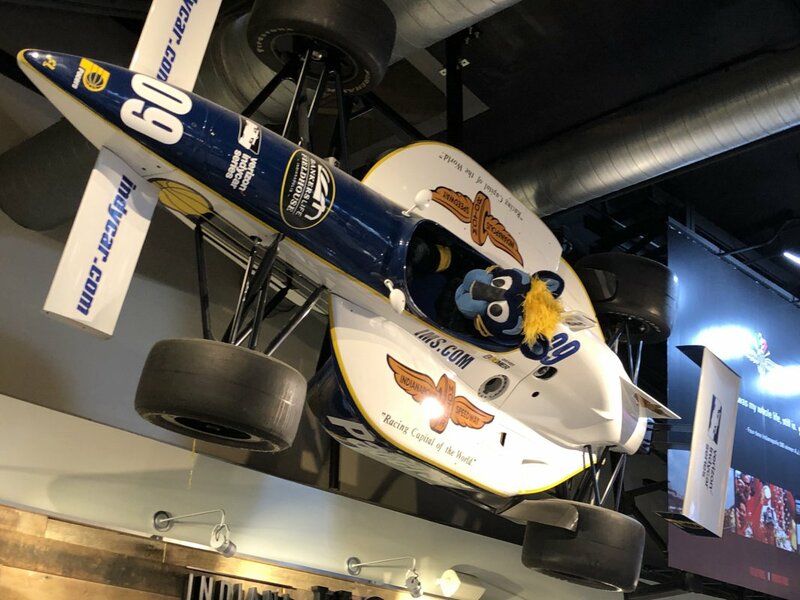 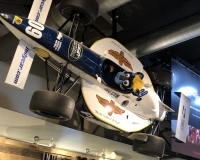 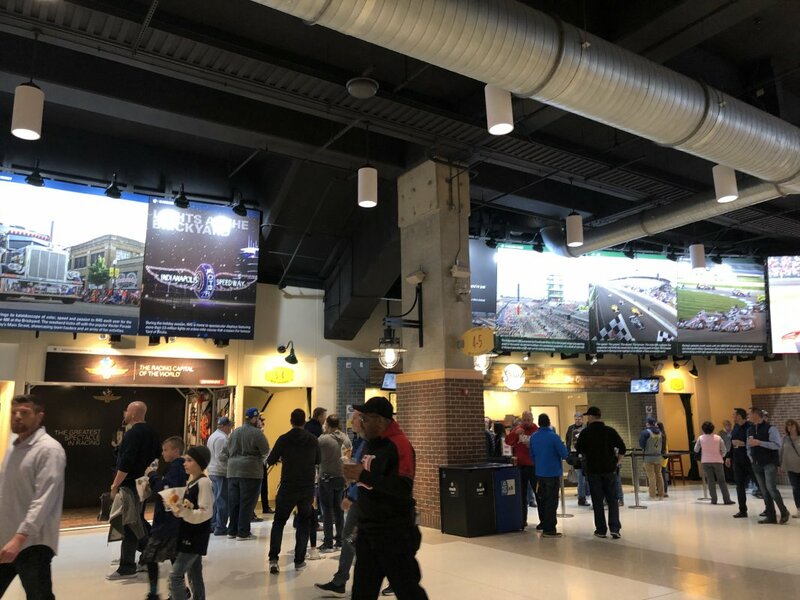 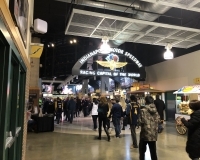 The main concourse is split up into different pavilions with sponsor names — one is sponsored by the nearby Indianapolis Motor Speedway, so you can do a little brushing up on Indy 500 history while you debate your food options. 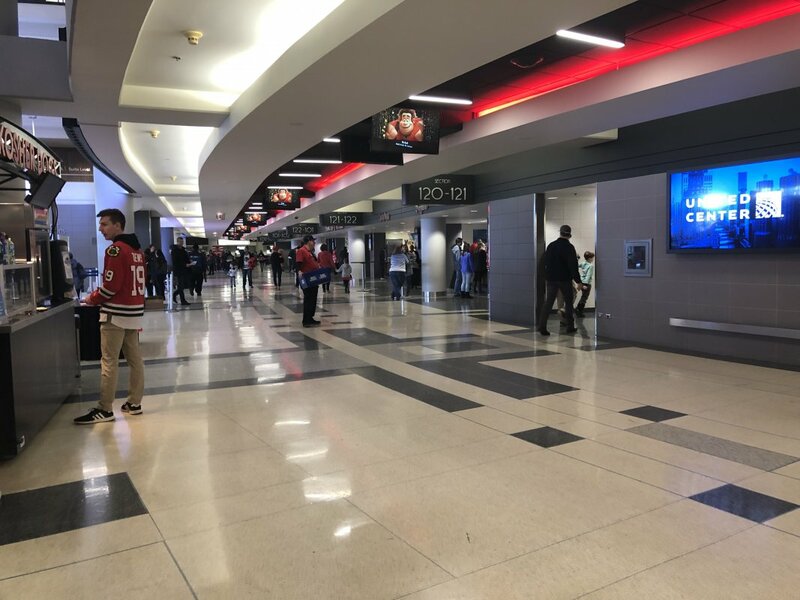 These pavilions are also where you can find most of the arena’s concessions options. 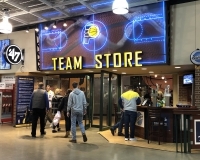 Midwest burger favorite Steak ‘n’ Shake operates stands, and the pork tenderloin sandwich is available at the “Homestead Favorites” stand.